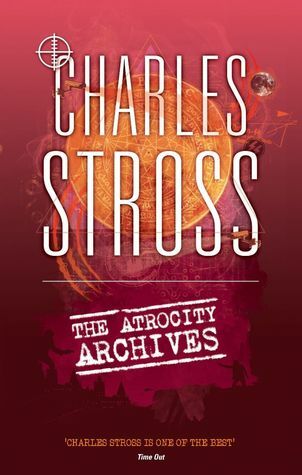 I keep trying Stross’ work, because I’ve read other novels of his and I know that there are some elements which interest me, some things which I do keep turning the pages for. I was actually more interested in The Atrocity Archive and “The Concrete Jungle” than I have been in most of his other books, which is a start, but I’m afraid a lot of it went over my head (not geeky enough) and some of it went under (fart jokes). All in all, the alternate history conjured up here is interesting, though I can’t really talk about the mathematics, geometry, etc, because I can’t write down my own phone number without transposing a digit or two. That somewhat hobbles the story, because I think there’s humour and worldbuilding there that I just. don’t. get. Which is unfortunately how Stross has made me feel before. I don’t think I’ll be reading any more of this series, though I quest on in my attempt to find a Stross book I genuinely enjoy. It seems like he has cool ideas, and it’s not like it’s his writing style that throws me off — I just don’t feel like enough of a nerd!